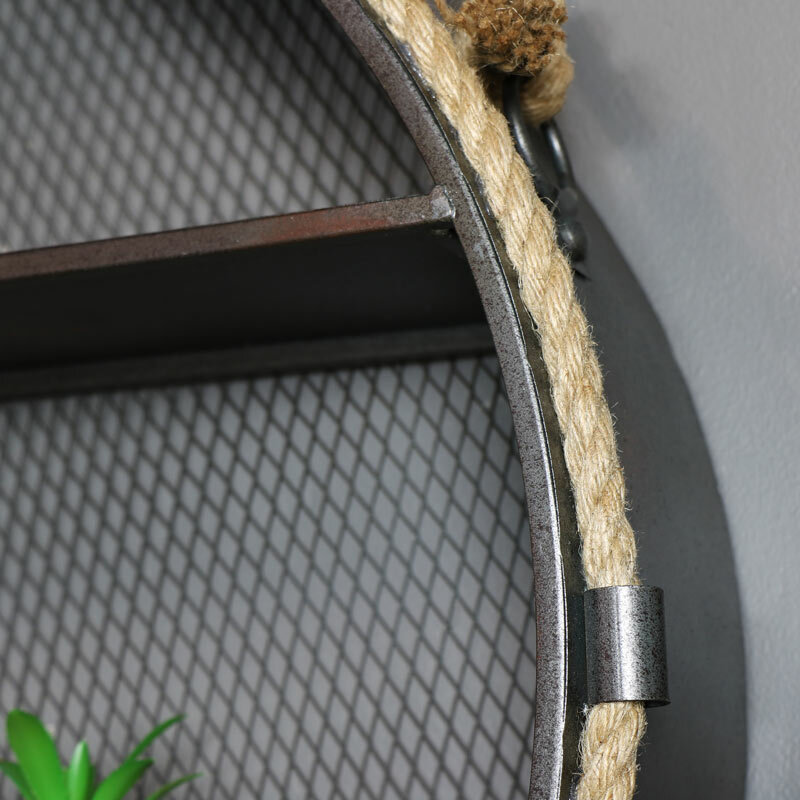 Constructed with a metal frame in a rustic grey finish and mesh backing. 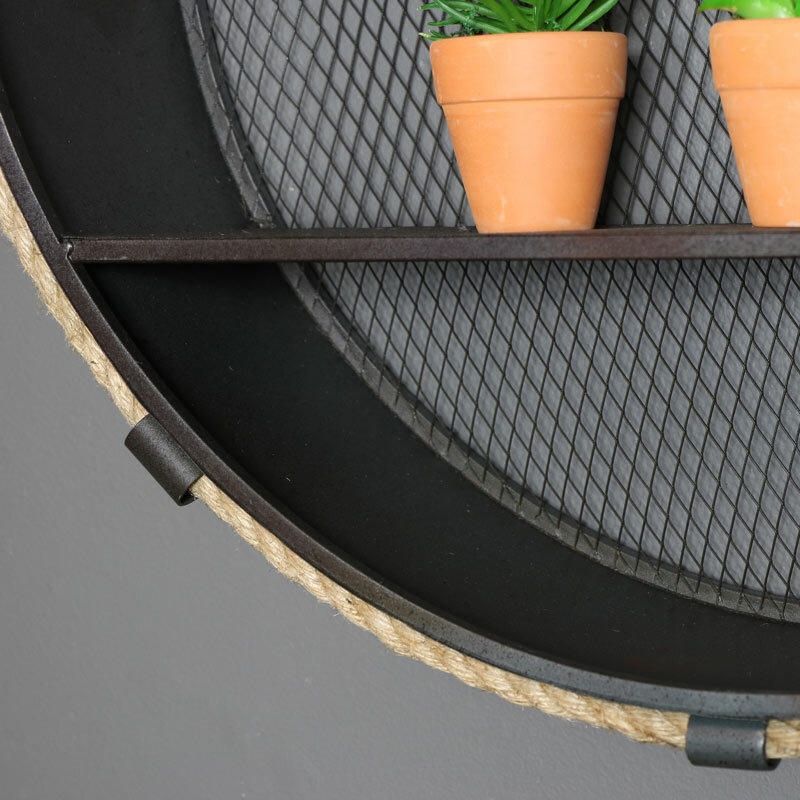 Hangs from a thick rope made from natural fibres. 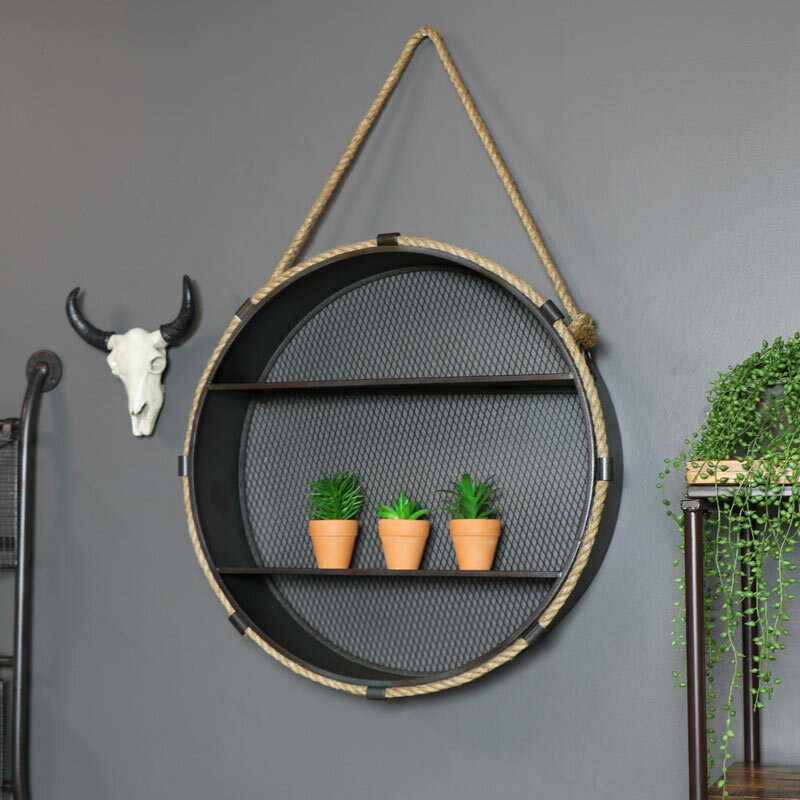 Just one of our many storage solutions for your home. We have a wide range of shelving units available from wall mounted to frreestanding in various styles and sizes.